I am quite possibly obsessed with Melissa & Doug childrens toys.. If i Lexi, could have them all - we would! gave the shopping carts to my granddaughters for Christmas 2011. What a hit! 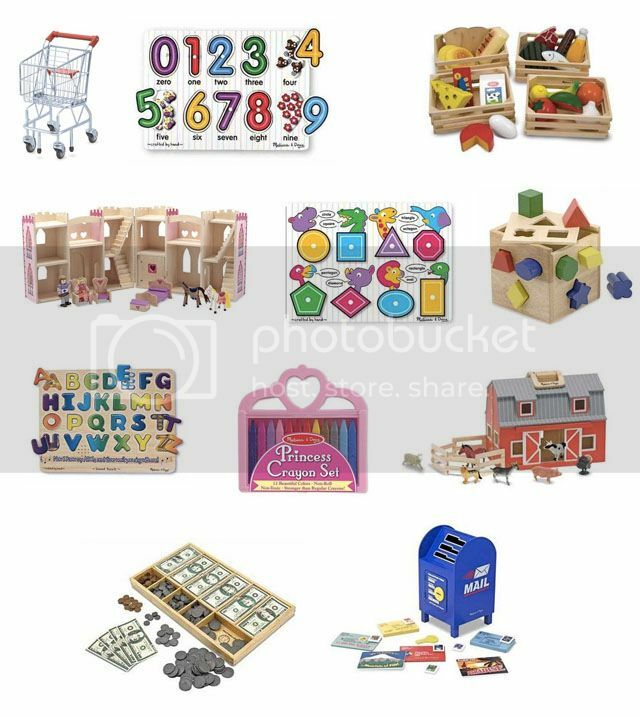 I love Melissa and Doug wooden puzzles and toys. I don't have any little ones yet, but I love to give these as presents for my friends that do. The puzzles are great for learning and a lot of them even have sounds now. Too cute!!! We love Melissa & Doug too! Our most faught after toy is the Melissa and Doug shopping cart! Those were really cute toys. Even I could be obsessed with it. Those toys are fun to play and educational as well. Kids would get the best benefit out of those toys. I will recommend it to my friends. Love the toys, so far this is the best toys for 2 year olds I found, also a good developmental toys for my kids. Thank you for posting this my friend.